In a major goof-up, Donald Trump on Wednesday referred to Apple CEO Tim Cook as 'Tim Apple' at a conference in the White House. “We appreciate it very much, Tim Apple,” Trump said. Tim Cook was sitting just next to him when he made the remark. Tim Cook had a nametag in front of him at the time. This is the second time in a year when Donald Trump has got a CEO's name wrong. 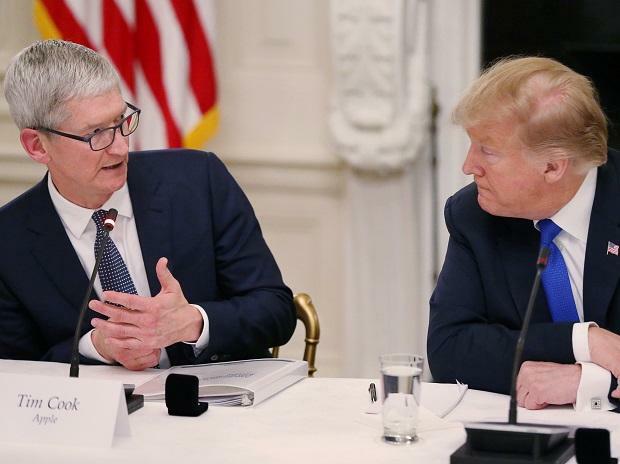 Trump was addressing a meeting on the importance of technology on education where industry leaders, including Tim Cook, were present. This was the first meeting of the newly convened American Workforce Policy Advisory Board.